Hilary Masters left his mark on more than three decades worth of Carnegie Mellon University students and faculty members, as well as readers across the world. The Department of English will host a memorial service to celebrate the life of the late award-winning writer and CMU English professor on Friday, Oct. 2 from 4:30-5:30 p.m. in the College of Fine Arts Kresge Theater. Creative Writing faculty members, including Jane Bernstein, Gerald Costanzo, Sharon Dilworth, Kevin González and Jane McCafferty, will read portions of Masters’ work. Bob Hoover, the former Pittsburgh Post-Gazette book editor and a long-time friend of Masters, and several of his former students will also speak. Masters, age 87 when he died on June 14, was an acclaimed writer. Among his many awards and honors, the American Academy of Arts and Letters presented him with its Award for Literature in 2003. Masters taught Creative Writing courses such as Survey of Forms: Fiction and the Personal Essay Writing Workshop. He was scheduled to teach a course this semester. “As a colleague, he will be incredibly missed. His wit and grace were evident in every aspect of his friendships and mentorships with all of us in creative writing,” said Sharon Dilworth, associate professor of English and Creative Writing Program director. The author of 10 novels, Masters loved working in the personal essay genre. 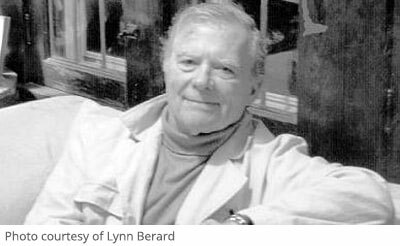 He published three collections in this style, and might be best known for “Last Stands: Notes from Memory.” The family memoir about growing up as the son of Edgar Lee Masters, the writer behind “Spoon River Anthology,” a collection of over two-hundred free-verse epitaphs. “Last Stands” has been republished many times and is considered to be the gold standard for the genre. As a dedicated professor, he touched the lives of many students – often mentoring them even after they graduated. “Most of all he cared about students learning the craft. He wanted them to appreciate the world of fiction, the difficulty of the business, but the joy of getting a piece exactly as they first envisioned it,” said Dilworth. “Celebrating a Life: Hilary Masters’ Memorial Service” will be open to the public. A reception will follow in the Great Hall, the CFA’s main hallway. Read the New York Times’ tribute to Masters. * The English Department’s goal is to establish an endowed scholarship fund in memory of Professor Masters. A minimum endowment level of $50,000 must be secured to establish the scholarship. Should the endowed scholarship not be fully funded, gifts will be used to establish an expendable award fund in Professor Masters’ honor.